The November MMCL meeting is in the books. November is traditionally one of our more lightly attended. This month was no exception. There were 18 members in attendance. 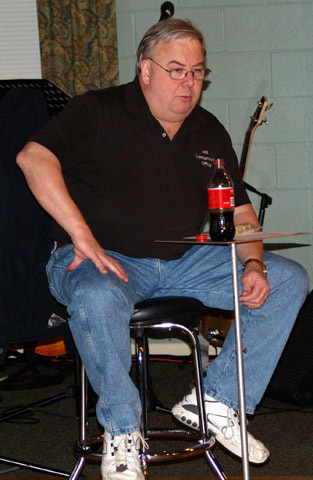 Dr. Terry Hill, our club president, presided over a short business meeting. The 18 members who attended got very lucky as we had one of the best raffles of the year. The highlight of the meeting was without a doubt the presentation by Bill on his experiences as a tank commander in Iraq in OIF. As the members know, Bill recently discovered that he and his tank are featured on the box top photo of Dragon’s M1A2. 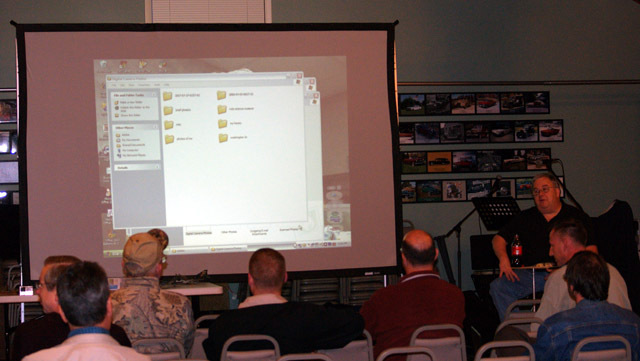 The membership was treated to a presentation of Bill’s wartime photos as well as a talk on what he experienced in Iraq. MMCL has had several veterans speak to us over the years, and these presentations are routinely the most memorable meetings. November 2009 was no exception. 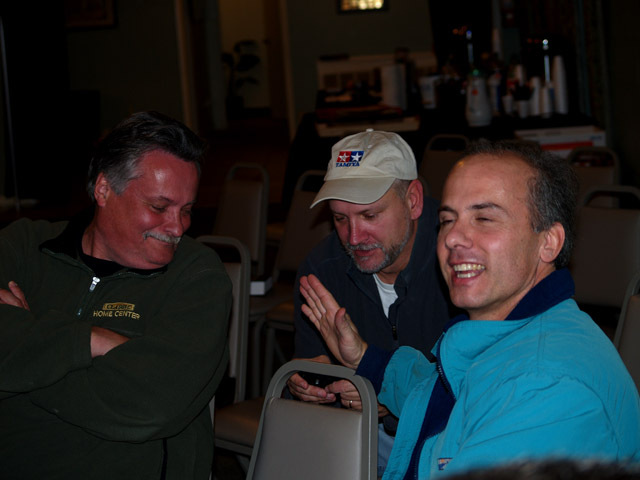 Here are Rich, Koko and Uncle enjoying a lighter moment during the presentation. As usual, the monthly MMCL meeting was a great modeling experience.